Night Vision HD Goggles - Helps Reduce The Risk Of Road Accidents! New Innovative Night Vision HD Goggles Helps Reduce The Risk Of Road Accidents! Super high quality Night Vision HD Goggles that reduces the risk of road accidents. Night Vision HD has been designed to reduce night driving glare and eye strain, and it will dramatically improve seeing at night, during snow or rainy conditions. Equipped Polarized Lenses. Lightweight. Resistant. Enhanced Clarity. Ultra HD Vision. Have you ever had the impression that your eyelids get heavier at the wheel? Darkness has significant consequences for road safety, and is subject to eight times more accidents than normal! 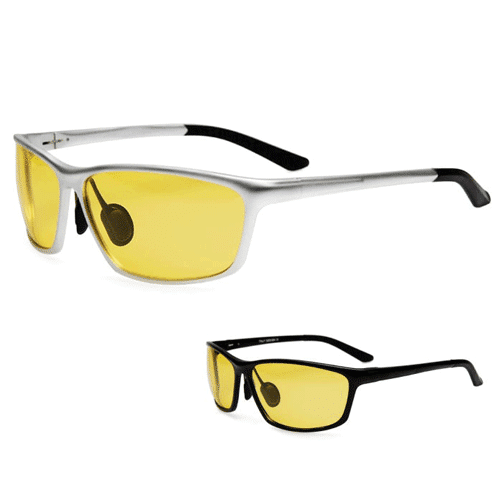 Night Vision HD Goggles is a new innovative device that is durable, lightweight, resistant, and are fully equipped polarized lenses. Night Vision HD let’s you see enhanced color, and clarity just like high definition TV’s, and it’s at the fraction of a price of designer glasses. 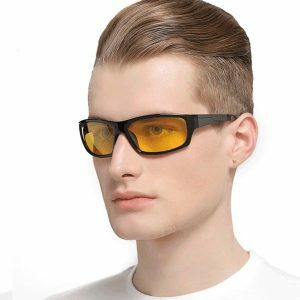 It protects your eyes in style from all sides, just slide over prescription glasses. Whether driving, reading or golfing, these versatile goggles make seeing a whole new experience. Night Vision HD Goggles is voted the #1 solution for safe driving in the evening and night, and it guarantees enhanced clarity instantly! It has been designed to shield your eyes from harmful UV rays and block light from the sides. This high-definition lens technology dramatically reduces glare, provides clarity, and enhances color like you’ve never seen before! Suitable for cycling, driving, fishing, climbing, travel, etc.